The South West Gauteng College is one of South Africa's largest dedicated Further Education and Training learning institutions with around 6 000 Full-Time Equivalents (FTEs) and almost 10 000 learner heads. This comprehensive institution offers nationally recognised diplomas, certificates and learnerships. This range of qualifications with its multiple entry and exit options allows students to build a solid career while at the same time develop their educational profiles. 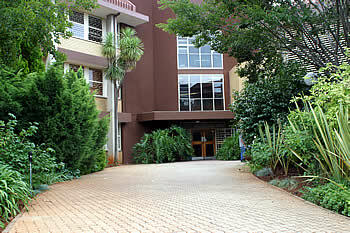 South West Gauteng College is the result of a merger between several colleges situated in Soweto, Krugersdorp and Roodepoort. The college has seven campuses. Click here to view the campuses and their details. The College provides students with an opportunity to achieve their goals with flexible learning programmes that include quality course ware material supported by highly professional and competent lecturers in progressive academic and career-oriented programmes. "We enter into a new era of unity, teamwork and strength, and the community will see a new force in further education that will provide Education of Distinction. "This will not be a great institution just because we have a new brand. It will be a great institution because we make it one." South West Gauteng College recognises prior learning (RPL) by assessing any skill, competencies, general knowledge, life experience or qualification a person might have with a view to establishing the right entry level.